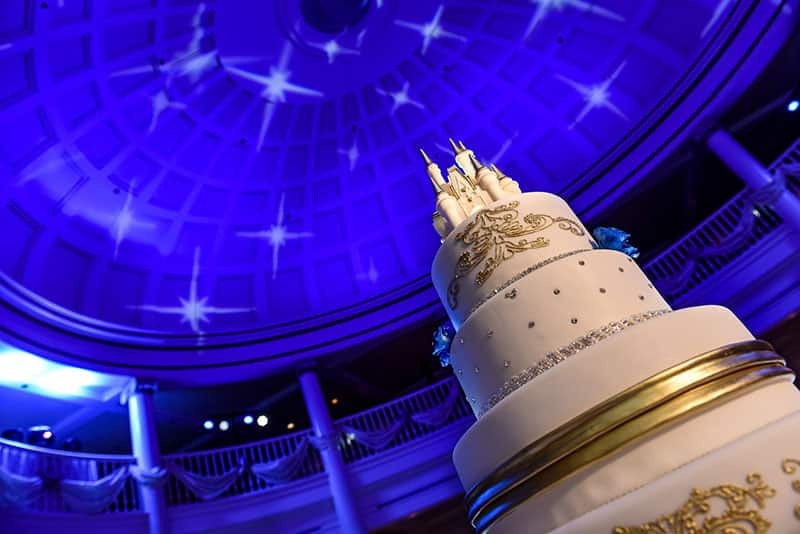 With four towering tiers, this regal cake is surely fit for royalty! Each uniquely designed tier adds a bit of elegance. 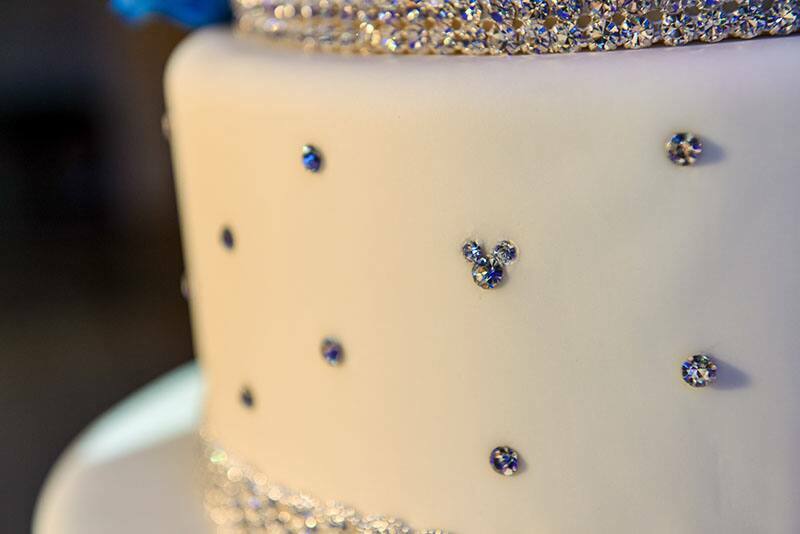 From intricate gold piping and crystal accents, to subtle hints of blue, this cake is truly a dream. 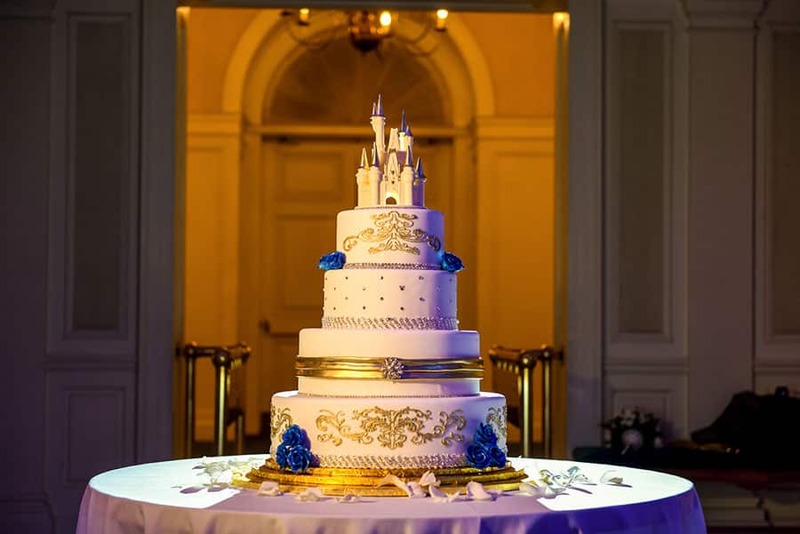 And of course, it wouldn't be complete without a Cinderella Castle topper adding the perfect amount of charm to this fairy tale design.